The days get shorter, the light brighter! It has been another good week here in beautiful downtown Fairfax, Virginia. As the season has turned to fall, the weather has cooled, and it is so much more pleasant to be outside. For those of us who have been focused on inside work, it’s still nice to go out for lunch and enjoy the nice days. Here is today’s Top Ten-ish list, courtesy of Tyler! Re-abilitation: Previously, we mentioned that we had finished off our first pass of primary and secondary ability components. This week, we can now support modifier components, on which Ben is working furiously to get in for more testing. Outside of modifiers, we’re looking for more feedback from testers on abilities, as we work through known bugs. Re-abilitation: Andrew landed client skill, something we’ve talked about previously, which is a fairly large and complex update. This is the precursor to UI, VFX, SFX, and animations updates on the client. Re-abilitation: Armor penetration is complete. We’ll be paying attention to any ability bugs over the coming weeks. Re-abilitation WIP: Previously we spoke about getting consumables in for classes such as the Physician, who will make use of bottles, and archers, who consume arrows (as you might expect). We’re close to finishing the “munitions” side of the tech, allowing player inventories to actually have those items—and use them! Re-abilitation: After a week mostly spent vetting group bugs, JB is currently working to get support in for abilities that use groups. We may have that testable soon! Re-abilitation WIP this week: First pass of encumbrance will see players slowed if their total inventory weight exceeds a specific limit. This should be in for testing next week. Re-abilitation: Logging – Last week, we added chat support for logging, so our testers have clearer feedback on exactly what is happening when they fire off abilities. This week, we knocked out an optimization pass on that system, allowing us to log more things and track bugs faster. Re-abilitation: This week, we had an informative “Bring out your Devs” stream, where Tim, Rob, Ben, and Marc, discussed many ability system things, followed by a Q&A session. One tidbit that fell out of this was the desire to set Rob on fire. Rob says that is now doable in game. Specifically, setting Rob on fire. Look him up, find his character, and set it on fire. Good times! Re-abilitation: Traumas are now working. After taking a wound, you will get a debuff. Rendering: We’ve dropped in the first pass of HDR support. 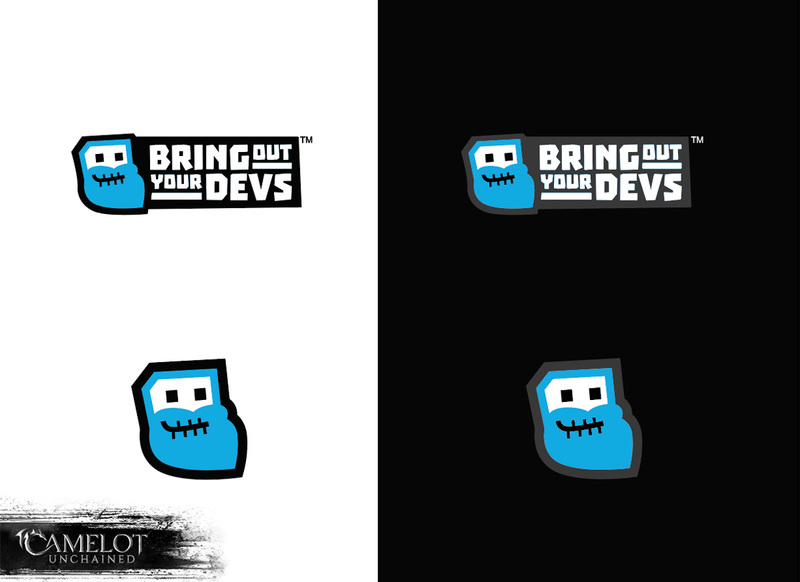 Don’t be surprised if things look a little “off” as we continue working on this. We also had a wonderfully odd bug that caused client crashes at a very specific time of day, which has been an interesting thing to track down. As of this writing, George has let me know this should be fixed. Let us know if that’s the case! The next visual update coming down the pipe should help improve differences in ambient lighting at a distance for our dark forests, so they no longer “brighten up” when you’re not actually in them. Multi-Zone: We just finished an audit of the work being done on this, and have identified the last pieces to check off. Thank you to those who helped us test island/server hopping! We’ll soon be moving into testing sub-zones on a single island. Art – Animation: We’re working on updated female run cycles to go along with the updated male run animations. We’re also updating current animations to support correct weapon orientations. It’s possible you may see a weapon or two pointing at your face instead of the enemy, as these updates go in! 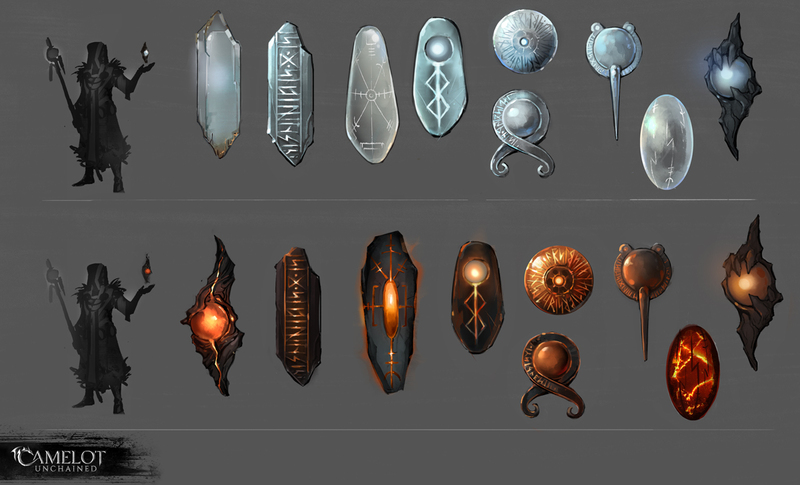 Art and Tech – Weapons: We’ve just finished off the tech requirements to support not only Realm-specific weapons, but also which hand a weapon can be used in. While we want lots of variation, hand requirements are necessary to support our design and current roster of animations. We don’t want you swinging a shield like an axe, or an axe like a shield. 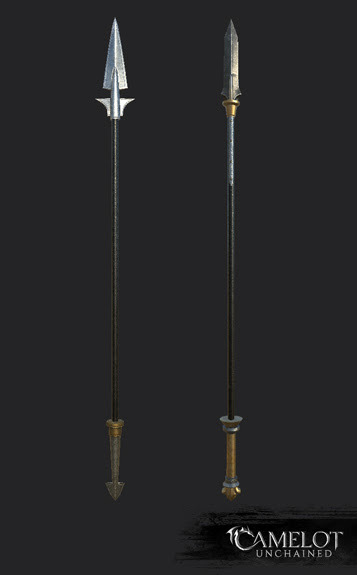 We can now load new character inventories with our new Realm weapons. Speaking of which: This week, we knocked out materials on two Arthurian maces, two Viking polearms, a Tuatha Dé Danann mace, as well as an improved materials pass on the existing Viking and Tuatha Dé Danann magic staffs. Newly created staffs include a melee version for each Realm, as well as a magic staff for the Arthurians. 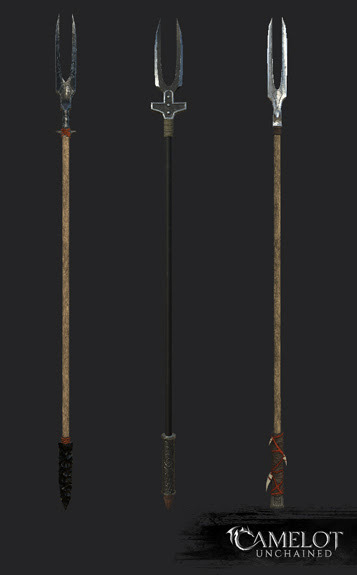 Oh, and then spears! Three Tuatha Dé Danann, three Viking, and two Arthurian! Next week, we’re working on bows, shields, and possibly axes! 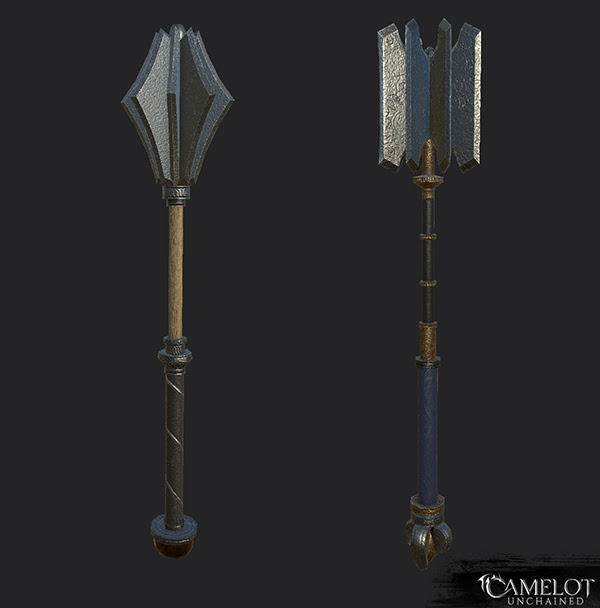 Newly created characters will see a selection of these items in their inventories as they continue to be added. (We also knocked out a concept pass on several class-specific focus items, which will be modeled soon. You can get a sneak peak in today’s update images). Hiring: As to our efforts in Seattle, our team has expanded and will continue to expand in the coming months. More on this coming in the next few weeks. In terms of other fun stuff, we had the return of the Bring Out Your Devs™ chat/Q&A. Here’s our new logo from its long awaited return. And here’s the link to where four of the Musketeers (Ben, Marc, Tim and Rob) talk about the continued progress with re-abilatation and the Stupidly Flexible™ ability system we are building. Continuing on the theme of art, let us get into some concept art. 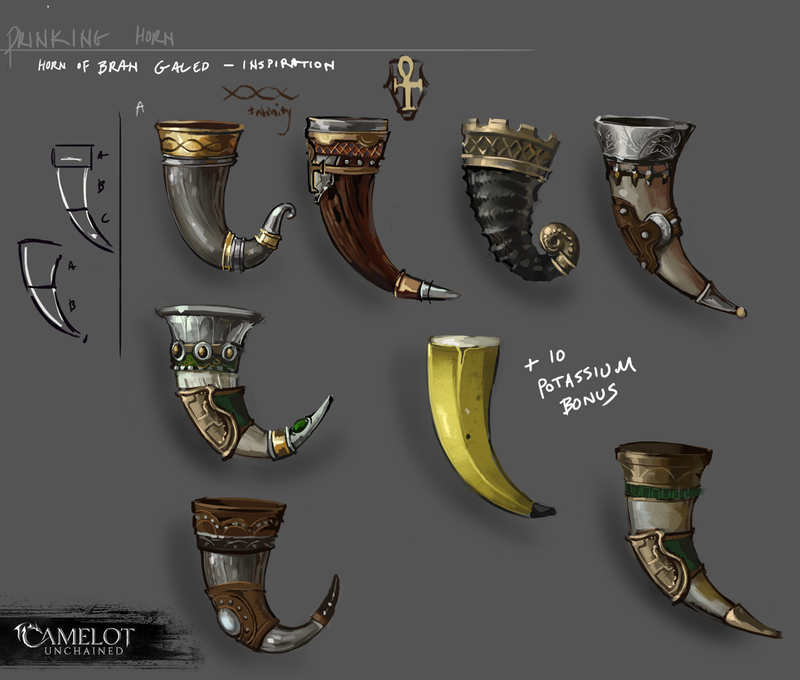 Here’s a look at concept art for one of the focus items from the game, the Arthurian horns. For some other focus items, we now move to the Vikings and the Stonehealers. Moving from concept art, it’s time to check out some maces for the game. These, unlike the focus items, are not concept art, at least not any longer, thanks to the extra special effort of Jon and Dionne this past weekend. Blunt force trauma in a game is one thing, but pointy weapons are pretty useful and cool too, as these Arthurian spears show. 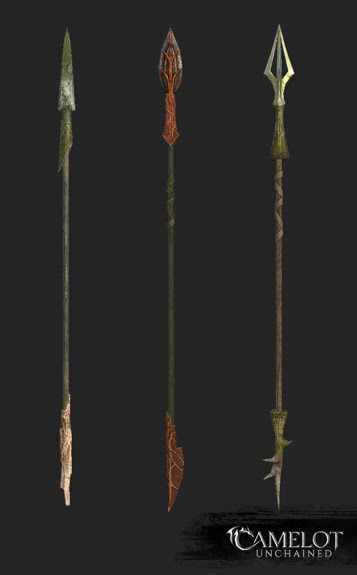 Not to be outdone, here are some spears from the Tuatha Dé Danann. And let’s close this round of spears with the Vikings. 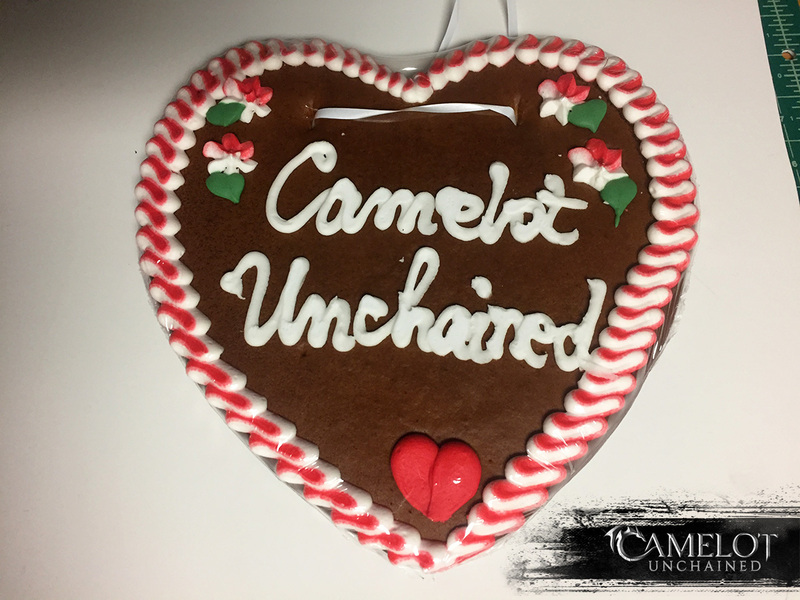 And last of the artistic offerings in this update, but very much not least, a close up shot of the really cool gingerbread heart that the awesome Backer, German translator, and all-around swell guy Apollon sent us. We’re going to hang it up, and thank you very much for all the gifts, from the whole studio! As to this weekend’s testing, we will be running simultaneous tests on both Hatchery (IT and Alpha)and Wyrmling Prep (IT, Alpha, Beta 1). Please see the notes below for additional information regarding these tests. If you experience an issue, when logging in, where you get the load screen and message “Waiting for position from server,” and you can’t get into the game: Log out and go re-select your character in the patcher to try again. We do believe there may be another cause, so let us know if you still experience the issue after trying this. Ability system: Empath Deferred Transfer now damages you based on the amount of healing you did. Before, it only damaged you for the maximum amount of healing it could do. Ability system: Everything should now properly affect body parts. You should see the proper effects in your own, or your target’s ui. The combat log currently does not convey that properly, however, the debug combat log in the ‘system’ tab will properly show this info. Ability system: Traumas have been added, and we’d like you to pay close attention to them to see if their debuffs are being properly added in the combat log. Ability system: In general, we need eyes on the ability system. Please continue building new and different abilities, and let us know if you encounter anything not behaving as expected. Weapons: We’ve done a character wipe, so newly created characters will have Realm-specific, CSE-created weapons in their inventory. If the weapon has right or left hand called out in the inventory, it should default to the appropriate hand if empty. If the weapon does not have a hand called out, and you have no weapon equipped, the weapon should default to your left hand. If you have a weapon in your left hand, the weapon should default to your right. If you have something equipped in both hands, equipping a weapon that has no hand called out will default to swap with the left hand’s weapon. 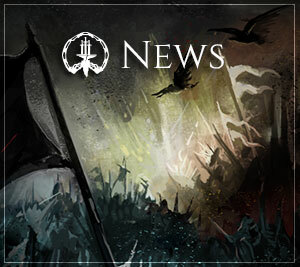 Please post any bugs here (https://forums.camelotunchained.com/topic/15215-alpha-and-it-testing-this-weekend-october-14th-on-hatchery/). Groups: Do they work, and do they work fast? If you take damage or a party member takes damage, you should see the updates almost immediately. If you accept an invite, you should be in the group in about the time it takes to go to google.com in your web browser. Accepting the invite makes a web request, so it’s not as instantaneous. And next week, tentatively set for Tuesday, October 18th at 6PM Eastern Time, Andrew and friends will be discussing our minimum spec for Camelot Unchained. And that wraps it up for this week’s update. I’ll be going on break late next week, so I will most likely not be available for the end of week wrap-ups till I return. Have a great weekend everybody. I’ll CU in the game!